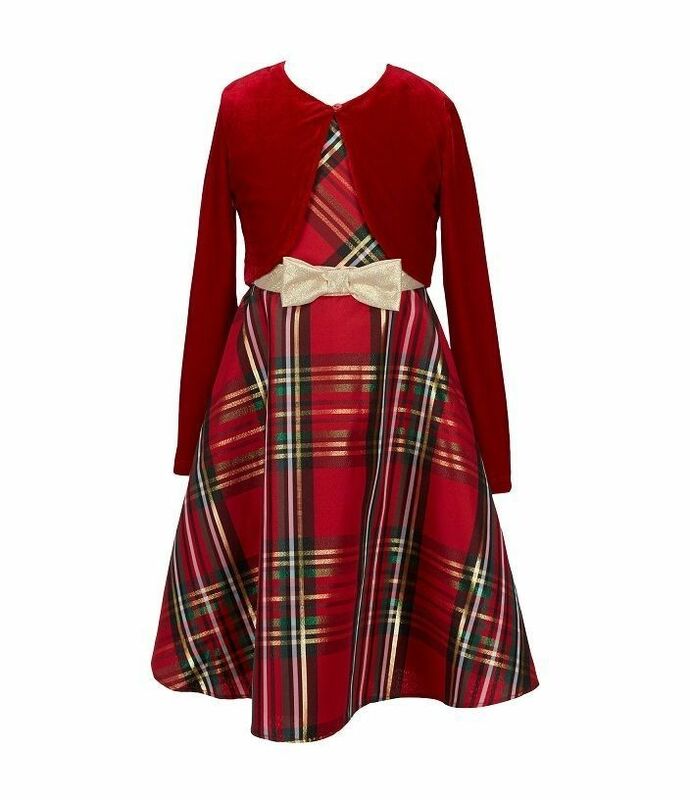 Beautiful girls Christmas dress features red tartan plaid dress, gold organza ribbon bow at raised waist. Includes dress and separate red cardigan jacket . Jacket is lined stretch velveteen. Dress is polyester taffeta, lined. Back zip.